No cleaning at the end of your stay! Large house, with magnificent views to 160 ° on the chair of the Pyrenees (large windows), completely redone in 2017. 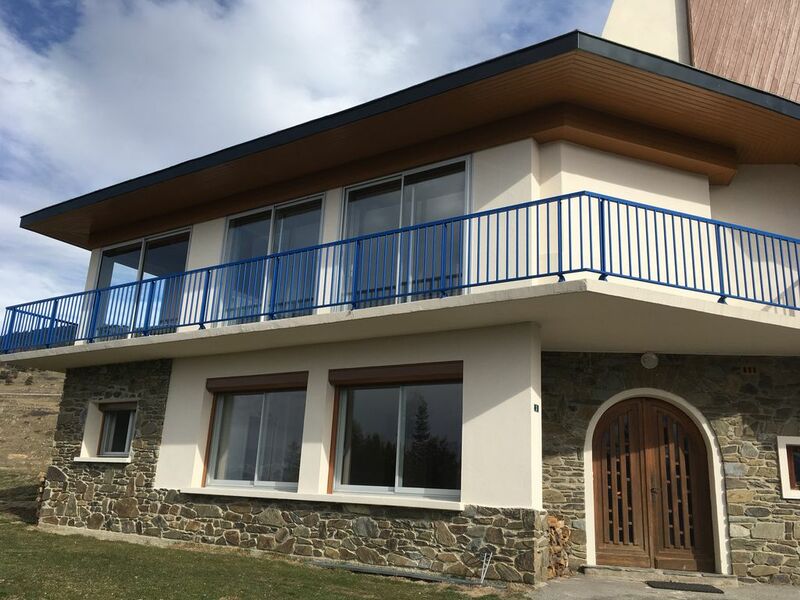 Located between Font Romeu and Odeillo, ski shuttles at 200 m.
You can enjoy the wood stove in the large dining room in winter, and the huge garden in summer. Large recreation room (ping pong table). Large kitchen very well equipped (oven, microwave oven, induction hob, dishwasher ...). Washing machine and dryer. Large parking. Nice veranda. Sheets and towels available. Note that the house has 2 independent parts and only the entrance is common. An extra bed is available in one of the rooms. At the entrance to the premises, a deposit of 500.00 euros will be required (check or cash) and returned on the day of departure. A 10% discount will be offered on your group lessons at the International Ski School. Lloc ideal per a 2 famílies! Casa molt gran i molt ben orientada amb vistes espectaculars. La cuina excel.lent amb tot el que es pot necessitar i molt bon contacte amb la propietaria. Casa molt recomanable per anar amb nens. La decoració no és el seu punt fort però per nosaltres és millor pels nens. Repetirem ben aviat!! !